Other than sunlight, nothing is more critical to garden plants than water. Watering deeply and in the morning is recommended. The best way to water a garden may be decided by how much the gardener wants to pay and the size of the garden, from a few plants to several rows of plants. 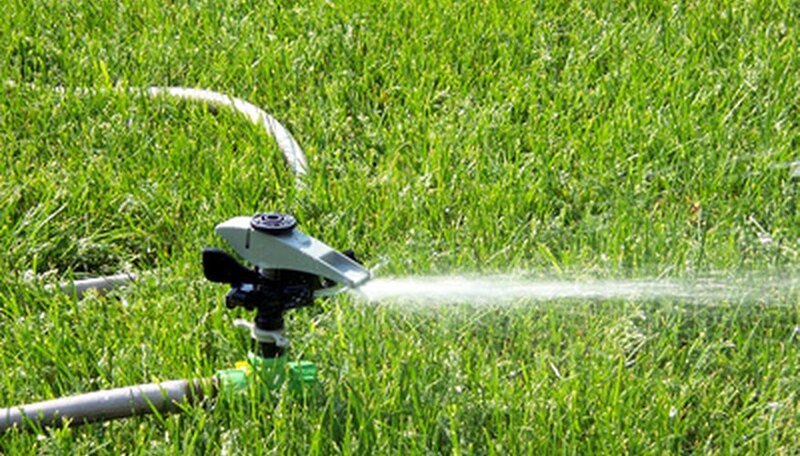 Oscillating lawn and garden sprinklers use water pressure to cast streams of water from the spray head. Horizontal oscillating sprinklers can cast water in an arc up to 180 degrees while upright oscillating sprinklers (on a “sled” or stake) cast water up to 360 degrees around the sprinkler. Either type can work for a garden and can benefit from being elevated, such as on a ladder, for a broader reach. The disadvantage of this type of watering system is the loss of water through evaporation and drift before the cast water reaches the ground. For optimal effectiveness, sprinklers should be used in the morning or on a cloudy day. Sprinklers can cost $5 to $30. Some sprinklers have in and out valves so a second hose and sprinkler can be attached to extend the watering potential. Adding a timer to shut the water off is a good water conservation measure. The potential disadvantage is that, depending on the size of the garden, the sprinkler may need to be moved to reach all plants. If multiple sprinklers are connected, the thrust power of the water may diminish from reduced water pressure. Soaker hoses appear similar to regular garden hoses but during manufacturing the hoses are pierced with holes through the length and diameter of the hose. The hose is placed throughout the garden near the base of plants. With water directed to the roots of the plants, little or no water is lost to evaporation. With less water lost through evaporation, less water is needed, making a soaker hose more economical than a sprinkler. The foliage of the plants receive little if any water, reducing the chance of mildew formation. A soaker hose can cost less than $15. Multiple hoses can be hooked end-to-end. The disadvantage of an end-to-end connection, particularly if you are using more than two hoses, is the potential for reduced water pressure in the hose at the end of the line, meaning less water to the plants. An alternative is to connect individual soaker hoses to a manifold (multiple output device) attached to the regular garden hose leading to the garden. A timer can also be used to automatically shut off the water supply. Drip irrigation requires the installation of tubing and valves to drip water to specific locations along the length of the tubing. For the do-it-yourselfer, a kit with 50 feet of tubing can cost about $60. The tubing can easily be removed to cultivate the garden bed. Drip irrigation allows for a more accurate application of water, making it a good choice for water conservation. Aside from the initial expense of installation, there is the potential of the drippers clogging. The lines need to be periodically cleaned with chemicals. For the small garden, hand watering may be the answer. A slow trickling garden hose could be placed in one area of the garden while weeding or harvesting is taking place in another area. A watering can may be sufficient to feed a small number of plants. Pour the water on slowly, allowing it to seep deep into the soil.